With a user rating of about 4.4 on the Google Play Store, Whatsapp Messenger is an application which doesn’t really need any kind of an introduction. Even I don’t have to write anything much about what it does, how it works or why one should use it; because it’s already got that kind of a fan base among the app community. The Facebook owned popular mobile messaging service is probably the first application a user installs as soon as he gets a new Android, iOS or Windows powered mobile. The feature-studded messenger, about an year ago, got the much awaited addition to its app on iOS and Android devices: document sharing. While at that time, the messenger allowed the users to share csv, doc, docx, pdf, ppt, pptx, rtf, txt, xls, and xlsx file types only; now soon enough the application users would be able to share all types of files. All of these file types would be shareable from the Attach > Document pop-up. Technically, the update should easily see all files in the local storage’s Download folder, including music, photos, videos, APKs, zips, etc. 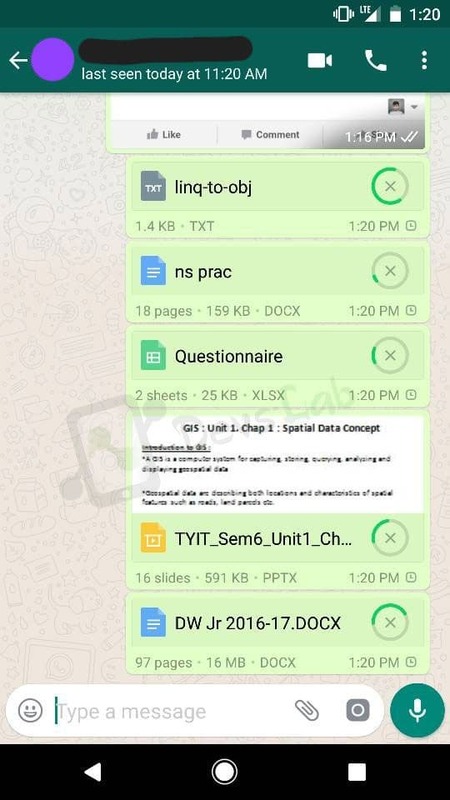 The update, which was first spotted by WABetaInfo, states that soon enough Whatsapp is going to change its document sharing features for good. Even though the maximum size of the document allowed is 128MB for iOS and 100MB for Android, which makes sharing uncompressed videos in its true sense, very difficult; but it seems like this is something which would easily be taken care of in the future. 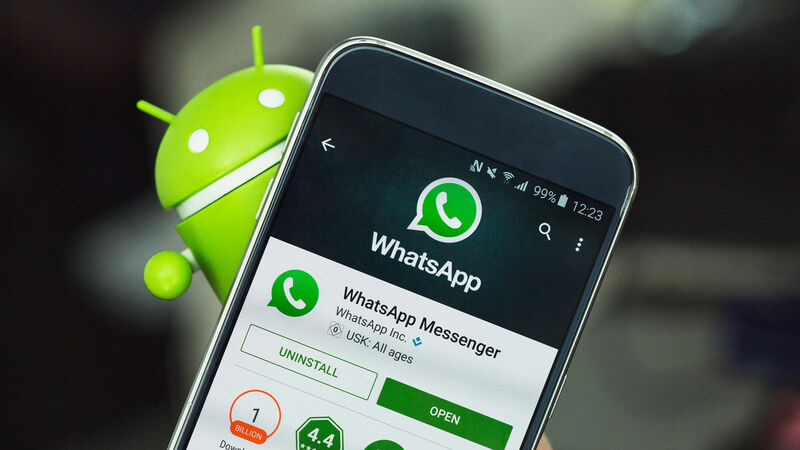 Along with iOS and Android, users would also be able to share any file using WhatsApp Web/Desktop, with the maximum allowed file size to be 64MB. You may receive the activation at any time, but note that it’s really slow, because WhatsApp is experimenting this feature for some users only at the moment. 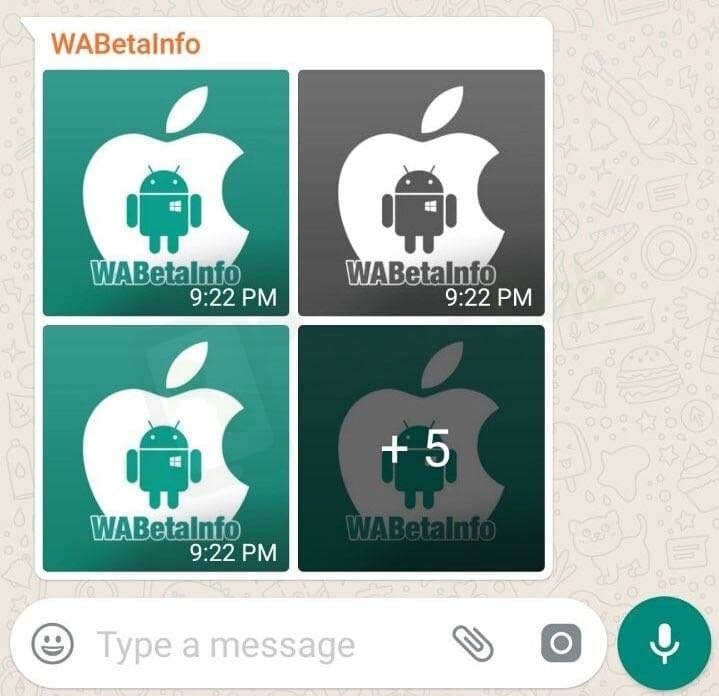 As we reported about the Album feature, Another possible update which can be seen as something which would significantly improve WhatsApp’s usability for media sharing. When someone sends or receives multiple images in bulk, they will be grouped into one bundle inside the chat instead of showing individually. It’s much more compact when you’re going through the conversation, and when opened, it displays all the full-sized images in succession. It’s a great solution for people and groups where a lot of media is shared in bulk. And the last change is a visual modification to the call screen. Upon updating, the user would have to swipe up to answer instead of sideways, and the interface also looks a little more polished and refined than before. Let us know in the comments section, if you already received this feature and your views about it!